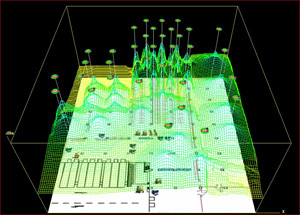 A wireless site survey, sometimes called an RF site survey or wireless survey, is the process of planning and designing a wireless network, in particular an 802.11 Wi-Fi wireless network, to provide a wireless solution that will deliver the required wireless coverage, data rates, network capacity, roaming capability and Quality of Service (QoS). 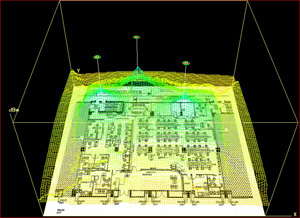 The survey usually involves a site visit to run tests to determine the presence of RF interference and identify optimum installation locations for access points. 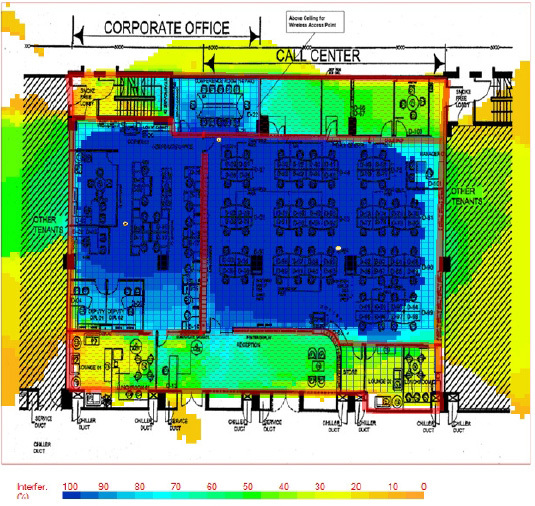 This requires analysis of building floor plans, visual inspection of the facility, and usage of site survey tools. When conducting a wireless site survey, it is important to identify the effective range boundary, which defines the minimum signal levels required to support the intended usage of the wireless network. This involves determining the minimum Signal-to Noise-Ratio (SNR) needed to support performance requirements. Independent studies have shown that most of the Wi-Fi wireless networks installed today are not optimally designed or installed, and many do not provide the level of service that they were intended to. Because of this, stringent wireless site surveys, detailed planning and design exercises are becoming essential, especially to support the new breed of wireless services such as Mobile VoIP and real-time location services. OPUS provides wireless site survey utilizing specialised electronic equipment and tools, coupled with its experienced team of network specialists to design and deploy wireless LANs for optimal performance, security and compliance. 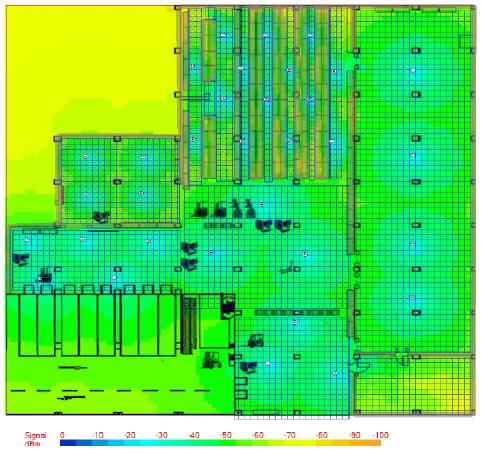 OPUS wireless site survey calculates the ideal quantity, placement and configuration of APs for a successful WLAN deployment. Our wireless site survey goes beyond just verifying RF coverage, by plotting actual end-user network performance in terms of connection speed, throughput and packet statistics. The end result is a complete Wi-Fi “weather map” of all critical RF and end-user performance metrics. Our wireless site survey team specializes in conducting wireless site surveys for both indoor and outdoor environments, including large scale warehouses, educational institutes, corporate offices. Contact us today, for more information to ensure your wireless implementation is optimised and performing as it should be.